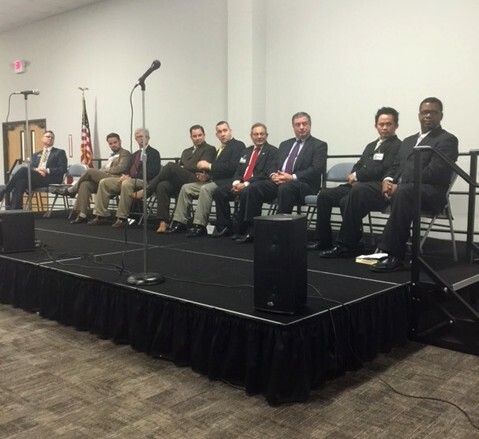 The Candidate Forum focused on sheltering issues was a HUGE success! Houston, TX – On September 29th, Houston Voters For Companion Animals and No Kill Houston presented a Candidate Forum focused solely on animal sheltering issues in Houston. It was the ONLY Forum to focus solely on animal welfare and No Kill topics and there was a great turnout. More than 300 people registered to attend, and more impressive was the 15 mayoral and city council candidates who participated. The high kill rates in Houston’s 5 kill shelters are a serious issue; one that has been mostly ignored by politicians in the past. In fact, the first time I went to speak at the public session at city hall about problems at Houston’s taxpayer funded city pound, I looked up from my speech to find that then mayor, Bill White and several city councilmembers, had left the room. They didn’t bother to wait the short 3 minutes it took me to finish my carefully written speech. Several other council members were talking or texting on their cell phones. No one on city council was listening and it was clear that no one cared that BARC then had an 80%+ Kill Rate and was a complete house of horrors with employees who regularly starved and tortured shelter pets for fun and games. So, for so many candidates to attend a Candidate Forum focused solely on this issue, is a 180 degree about-face from a few years ago. And not only did they attend, it was obvious that most of the candidates there were honestly concerned about this issue. I could tell that many had done research on the topic and had great, thoughtful answers. 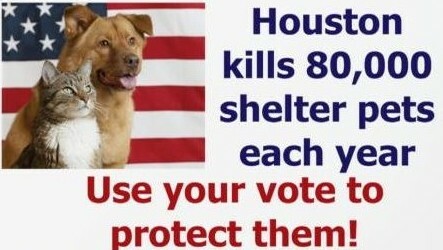 It was obvious that many were ready, willing and able to work on ending shelter killing in Houston. I had timed the questions and answers and thought that the Forum would actually end 15 minutes earlier than the 1 1/2 hours that we had alotted. But the candidates were so interested in many of the questions that they wanted to jump in and add their comments to questions to other candidates. They WANTED to talk about this issue. I actually had to exclude 3 planned questions because we just ran out time. That is the kind of Forum that I absolutely LOVE! Randy Wallace, a reporter with Fox 26, was the Forum Moderator and he did a wonderful job. Randy has reported on a lot of animal sheltering issues over the years and has been a great animal advocate. Considering the loud applause and cheers that erupted when I introduced him, he is also a favorite among animal lovers. Fox 26 also livestreamed the entire Forum on their website. I hadn’t known that they were going to do this, so it was another wonderful surprise. A great Houston photographer, Jack Opatrny, volunteered to tape the Forum for us, so we can post it online for those who were unable to attend. That should be uploaded to the web this weekend. There were so many animal lovers who came together that night in order to make positive changes for shelter pets in Houston. I cannot find words that fully express how wonderful it was to witness. Ending shelter killing is a very solvable problem. So many communities have already ended the killing of healthy and treatable shelter pets and I have no doubt that Houston can do it too. We literally have a step by step guide in our hands, and we can follow the examples set by so many successful communities. What we now need is leadership who truly cares about the issue and who is willing to work to implement the programs that are already working across the country, and there were really GREAT choices present at our Forum Tuesday night. We will soon be posting a Voter’s Guide rating the candidates’ responses at the Candidate Forum and to our Candidate Survey, so make sure that you check our website before you vote; or register for our e-Newsletter so that you will receive a notice when the Voter’s Guide is posted. A few people have commented to me that they are confused about which races they can vote in, so I wanted to clarify. If you live in Houston (and are registered to vote), you can vote for the candidates in running in the District race that you live in i.e. Districts A through K. Click here to find your District, if you do not know it. In addition, all Houstonians can vote in ALL of the At Large races i.e #1 through #4. You can also vote in the mayoral race. For instance, I live in District K, so I can vote for a city council candidate in the District K race and I can also vote for city council candidates in all of the At Large races, positions 1 through 4. And I can vote in the mayoral race. If you have not yet registered to vote, you have until October 5th to register in order to be able to vote in this November’s election. Click here to register. Make your vote count this year! 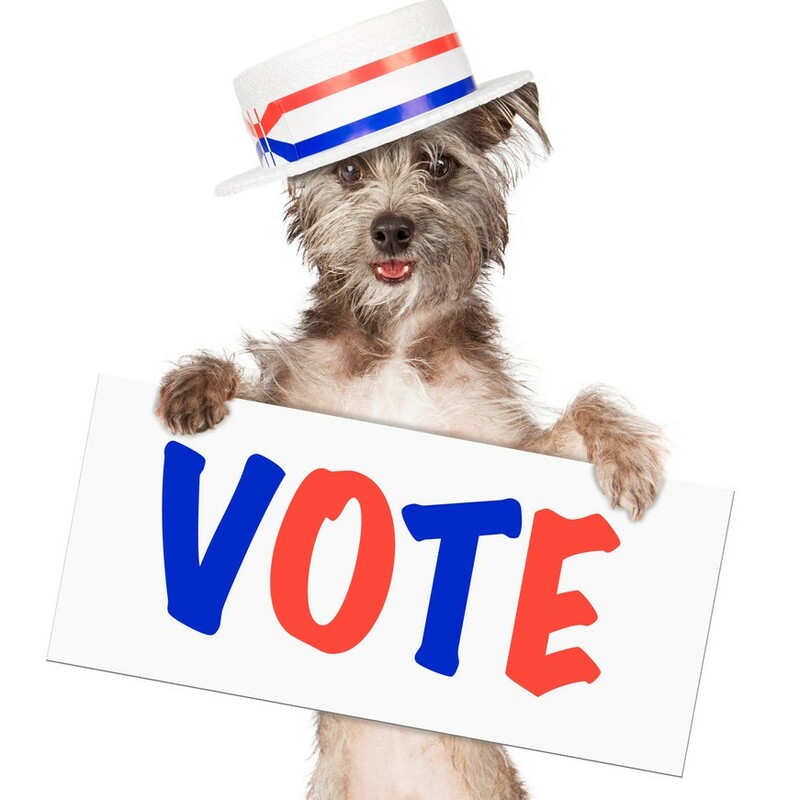 Vote for the candidates who will protect shelter pets!